The Islamic University of Medina was established by the Saudi state in 1961 to provide religious instruction primarily to foreign students. Students would come to Medina for religious education and were then expected to act as missionaries, promoting an understanding of Islam in line with the core tenets of Wahhabism. By the early 2000s, more than 11,000 young men from across the globe had graduated from the Islamic University. Circuits of Faith offers the first examination of the Islamic University and considers the efforts undertaken by Saudi actors and institutions to exert religious influence far beyond the kingdom’s borders. Michael Farquhar draws on Arabic sources, including biographical materials, memoirs, syllabi, and back issues of the Islamic University journal, as well as interviews with former staff and students, to explore the institution’s history and faculty, the content and style of instruction, and the trajectories and experiences of its students. Countering typical assumptions, Farquhar argues that the project undertaken through the Islamic University amounts to something more complex than just the one-way “export” of Wahhabism. Through transnational networks of students and faculty, this Saudi state-funded religious mission also relies upon, and has in turn been influenced by, far-reaching circulations of persons and ideas. Analysis of both official and opposition Saudi divine politics is often monolithic, conjuring images of conservatism, radicalism, misogyny and resistance to democracy. Madawi Al-Rasheed challenges this stereotype as she examines a long tradition of engaging with modernism that gathered momentum with the Arab uprisings and incurred the wrath of both the regime and its Wahhabi supporters. With this nascent modernism, constructions of new divine politics, anchored in a rigorous reinterpretation of foundational Islamic texts and civil society activism are emerging in a context where authoritarian rule prefers its advocates to remain muted. The author challenges scholarly wisdom on Islamism in general and blurs the boundaries between secular and religious politics. In the popular imagination, Saudi Arabia is a monolithic and static relic from an earlier age, wedded to a reactionary interpretation of Islam and led by an authoritarian monarchy whose alliance with a retrograde religious establishment has assured its survival. David Commins challenges this view by tracing the origins and evolution of the Saudi state from its eighteenth century roots through the present day. 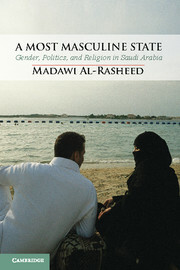 For Commins, Saudi Arabia’s contemporary social and political order is the product of dynamic historical and ongoing struggles, both internal (pitting dynasts against religious traditionalists, Wahhabi true believers against non-Wahhabis and their more liberal Wahhabi allies, and an old guard against a younger generation habituated to a world of social media, cable television, and consumerism) and external (including threats from imperial powers in the nineteenth and early twentieth centuries, Arab nationalists in the 1950s-60s, Saddam’s Iraq in the 1990s, and, currently, Iran and al-Qaeda). Commins tracks the Al Saud’s efforts to balance and overcome these challenges, in the process creating a system whose defining characteristics are contradiction and ambiguity. According to reports in the Arab media and Reuters, Saudi Arabia has convicted a Lebanese man of “evangelism” and sentenced him to six years in prison and 300 lashes. According to reports, the man, an Evangelical Christian, converted a Saudi woman in her 20s to Christianity and spirited her out of the country to Lebanon. The Saudi Gazette notes that the man had the woman’s personal belongings sent ahead of her to Lebanon, thus proving that “he had planned out the whole thing and premeditated the woman’s conversion to Christianity.” Not only conversion, but premeditated conversion! The case has been a cause celebre in Saudi Arabia, where proselytism is illegal and converting from Islam to another religion is a capital offense. I’ve always been mystified by ICANN (the “Internet Corporation for Assigned Names and Numbers”), the US non-profit corporation that manages the internet. Somehow, and without governmental authority, ICANN has gotten users around the world to accept as authoritative its decisions on internet protocols and, in particular, “generic Top Level Domains,” or “gTLDs” — the familiar .com, .org, and .edu designations at the end of internet addresses. A good example of spontaneous ordering, I guess. Anyway, this spring, ICANN invited proposals for new gTLDs. The organization is now taking public comments. Given the importance of religion on the web, it’s not surprising that many of the proposed new gTLDs involve religion, and that some of them are causing controversy. For example, the Vatican has requested that it receive a new gTLD, “.catholic.” Among the objectors to this proposal is Saudi Arabia, which points out that other Christian communions, for example, Eastern and Oriental Orthodox, also refer to themselves as “Catholic”; the designation would thus create confusion. Actually, Saudi Arabia has objected generally to new gTLDs that name particular religions – for example, “.islam,” – on the ground that no one entity should be able to claim the internet identity for an entire religion. It’s an interesting point. ICANN will accept comments on proposed gTLDs until September 26. (H/t: Christianity Today). Abhinav Mishra (Rajiv Gandhi National University of Law) has posted Bridging the Gap between Religion and Law in Saudi Arabia. The abstract follows. To associate Law with Religion is not particularly bad until it becomes the primary source of all principles used to govern the people of a state. Law must chance with the changing times and a Legal System overtly influenced by Religion prevents it from doing so. Therefore, the purpose of this paper is to show out the key loopholes in the Saudi Arabian Legal System, point out why the lusterless system is still in action, propose a new model and show how it would be effective. Also, in this paper, possibilities of revolt and other such contemporary issues will be touched upon. In the era of the Arab Spring, it is enticing to see Arab history as moving steadily toward a more democratic and less authoritarian future: the will of the people has finally challenged and even overthrown entrenched dictatorial regimes. But again the kingdom of Saudi Arabia seems like a holdover from a past era, and in the surge of scholarship that is beginning to appear on popular movements and democracy in the Arab World, Saudi Arabia may again seem passé and unimportant. This would be a mistake. If the history of Saudi Arabia teaches anything, it is that Western social scientists often miss the mark when assessing where the Middle East is headed. While it would be tempting to assume that the Saudi monarchy will fade into the ancient sands of the Arabian Peninsula, destined to be replaced by a more modern and democratic state, it would be incredibly dangerous to do so. UPDATE: A propos of this review, see also this dreadful news story about the execution of a woman in Saudi Arabia for practicing sorcery. (h/t Volokh).